On Tuesday 30th April 2019, 1.30 p.m. The International Engineering Public Company Limited (IEC) was established in 1922 to undertake engineering work on the Bangkok-Aranyaprathet Railway connecting Thailand to the Cambodian border for the first time. IEC took a position at the forefront of Thai engineering and technology through its cooperation with ‘Caterpillar’ the world’s number one tractor producer, introducing tractors to play an important role in national development. 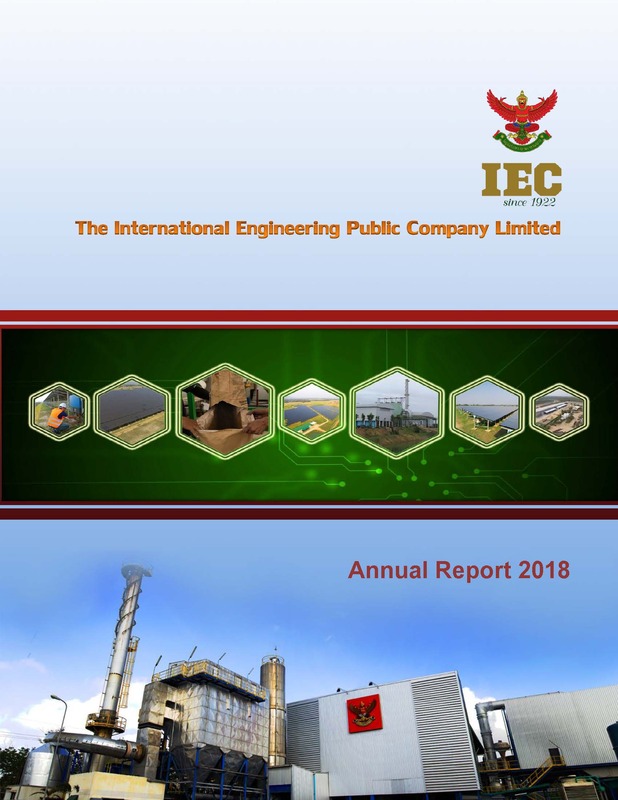 2019-04-17 Auditor’s Disclaimer of Opinion on the Annual Financial Statements Ending 31 December 2016 More..
2019-04-10 Exercise schedule and price for the warrants to purchase ordinary shares of The International Engineering Public Company Limited No. 2 (IEC-W2) (Last Exercise) More..
2019-04-04 Report on the results of the Exercise of IEC-W2 (F53-5) More..
2019-04-02 Question and answers regarding issuance of new warrants to replace the existing one for the holders of the old warrants about to be expired and rights adjustment of the old warrants. More..
2019-04-01 Reports on the operating results for 2016 More..
2019-03-25 Result of the Case for Claiming Deposit Against Biogas Power Plant Project in Kamphaeng Phet Province More..
2019-03-19 Announcement of Special Holiday More..
2019-03-07 Notice of Invitation to the 2019 AGM Available on Corporate Website More..
2019-03-06 Exercise schedule and price for the warrants to purchase ordinary shares of The International Engineering Public Company Limited No. 2 (IEC-W2) 12 round of exercise (March 2019) More..
2019-02-14 Agenda for the 2019 Annual General Meeting of Shareholders More..
Approved Vendor List (IEC) More..
Approved Vendor List IEC Sakaeo1 CO.,LTD More..